After a longggggg vacation in Dubai I am back with another blog, to talk about the hottest products in the market, which will help you to keep your skin fresh and glowing this summer. 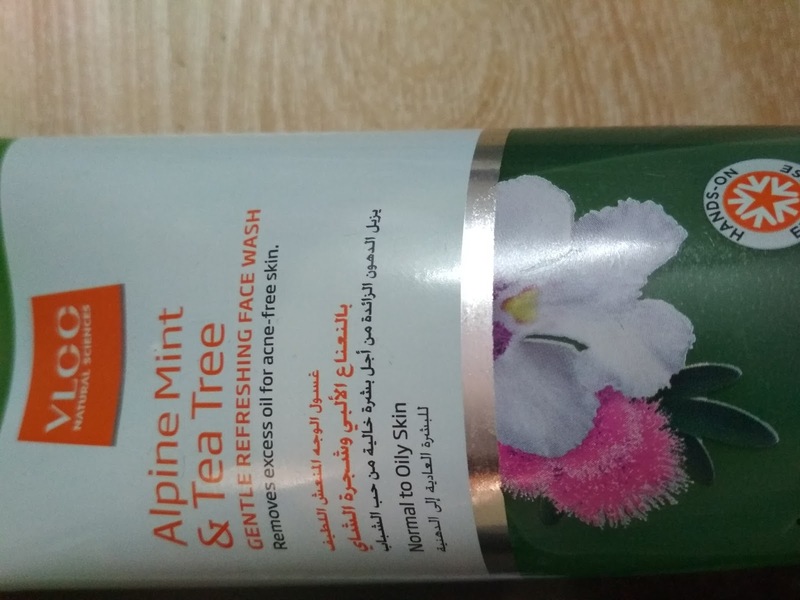 Well during my visit to Dubai I found a very tempting face wash from VLCC with alpine mint and tea tree. And as many of you know that anything with mint becomes my first pick. So I got this one!!! This VLCC face wash comprises of natural green tea and alpine mint extracts, which promises to give a clear smooth skin. The tea ingredients in the composition, hydrate, and balance the oil on your skin. It also comprises of cellulose granules for softer skin and skin lightening agents to help you get rid of any dark spots. It also promises to fight against blemishes and lighten your skin tone with regular use, cleaning and opening your pore to help them breathe. VLCC Alpine Mint and Tea Tree Gentle Refreshing Face Wash will cost you 230 bucks for a 175 ml pack. Tea Tree Oil, Algae and Alpine mint are the key ingredients in the product, which all promise to give you a clear, fair and soft skin. I have oily skin, which also conditions my acne problem. However, I was amazed by results I got with this face wash. It somehow balances the oil on my skin, and doesn’t leave my skin dry after use; rather it makes it softer and hydrated. It’s been 2 weeks since, I have been using this regularly, and I can happily say that most of my acne problems are gone. I use this face wash, two to three times a day. I recommend it a must buy for all my fellow oily skin people. · The alpine mint and tea extras in the face wash leave your face with a refreshed soft feel. 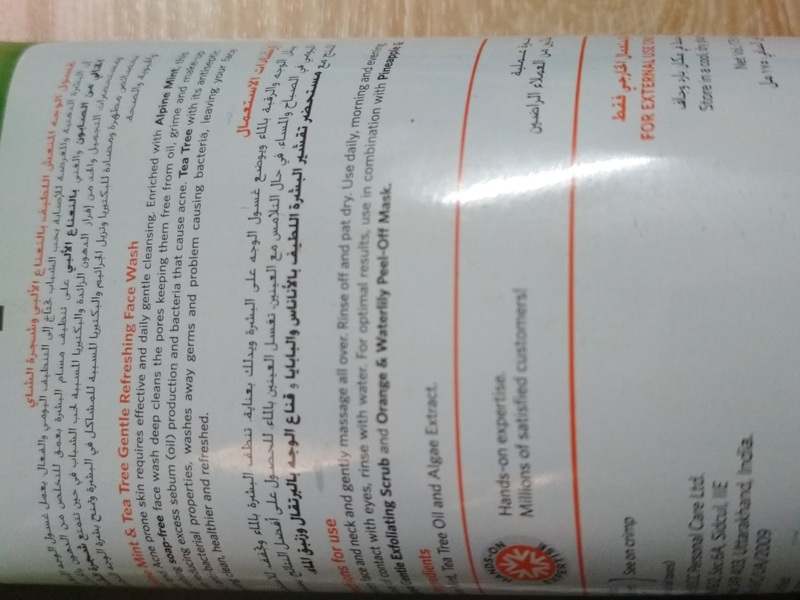 · It is suitable for all skin types, so anyone can use this. · It helps hydrating your face, clearing all the dead skin off your skin, giving you a glowing fairer skin. · It helps in balancing the oil on your skin. · It is really effective at fighting the blemishes and pimples on your skin. · It is a little expensive than other brands offering the same contents in the market. 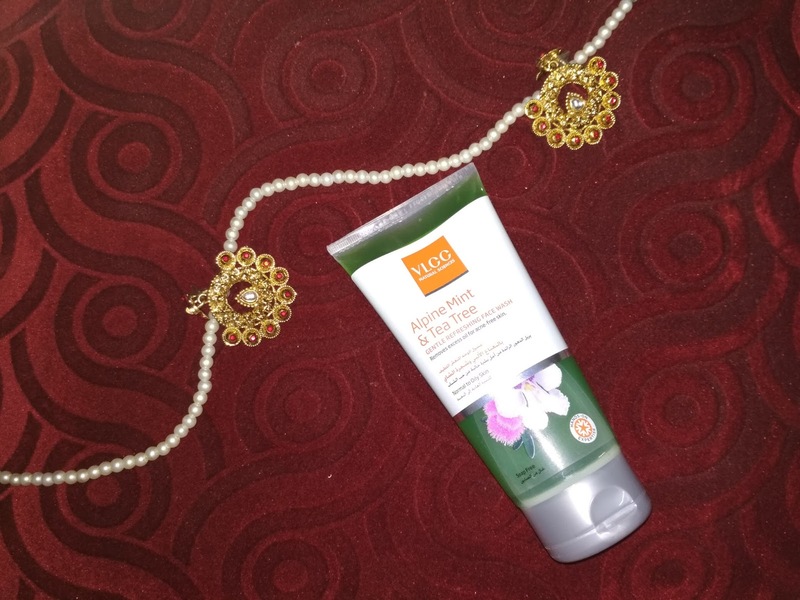 · It might not be the best choice for dry skin. This is a perfect fit for oily skin, from my personal experience; I can guarantee that you will have a better summer this year with this face wash. It keeps all its promises, and you will be able to see visible within a week. Prevent oil and sweat from causing pimple problems on your face by using this green solution daily on your face.